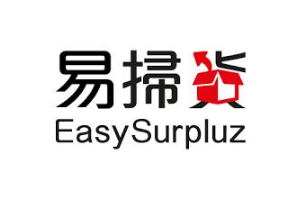 EasySurpluz helps users to buy surplus at the lowest price, merchants can clear a batch of goods in inventory. EasySurpluz is one of the projects of SillyCube Technology Ltd. Retailers, wholesalers, manufacturers, hotels, NGO and public entities will usually have surplus goods like dead stocks, returns, slow moving goods, second hand goods, expiring goods, salvaged equipment, liquidations, etc. These goods will seriously occupy merchants cash flow and inventory space. As the retail industry is declining, EasySurpluz aims to improve the current situation. Users can buy surplus at 20 – 80% off while useful resources will not become a part of the landfill sites. EasySurpluz supports various types of products including but no limited to electronics, phones, TV, toys, clothes, food, etc. Listed products will be sold in a batch instead of simple item. The display period will be 2 weeks – 2 months. Upon successful deal, 5% transaction fee will be collected from the order amount. Please contact +852 3575 9665 or email info@easysurpluz.com for inquiry. Please visit http://www.easysurpluz.com to understand more. This entry was posted in New Product, News and tagged Website development on July 12, 2016 by bennychan.